Pioneers Helen and David Gibbons. The open concept interior of the Tembusu House. The panoramic view at the Lanai House, perfect for a session of yoga. Haanim and Schwanz basking in the beauty of nature. The Berembun House with an infinity pool. HIDDEN in the jungles of Pantai, Negeri Sembilan is the Dusun (Orchard), a collection of seven homes amid a durian plantation. It has recently clinched the title of “Best Rainforest Resort Destination in Malaysia” at the Asian Lifestyle Tourism Awards 2017. Currently run by the second generation of owners, this family-operated retreat traces its origins to over 30 years ago, when couple Helen and David Gibbons acquired a 12-acre rubber smallholding in 1984. Legend has it that Helen was so taken by the views of the Mantin hills from the site that she decided to acquire the land. This home away from home too began as an escape from the city for the couple and their five children. They were seeking privacy, long and intimate talks, and engaging with nature — all amid a splendid and tranquil environment. The family quickly began work to transform the rubber plantation into a dream home. The undergrowth was cleared while the rubber trees were removed and replanted with durian trees. “David and Helen established a lifestyle while they built and lived here. They built houses open to winds and views. They studied Kampung House design but modernised it for their comfort and fit houses into the landscape,” says their daughter Haanim Bamadhaj who is currently the general manager of the Dusun. “I was seven years old [when the Dusun was first built] and I have so many great memories of those days. We would plant in the mornings, have lunch by the river, swim in the cold river after a morning of work and prepare food on a crooked red-brick fireplace outside. “There was one time my stepfather shouted ‘Tiger!’ while we walked down the hill. I bolted and ended up rolling into a hole,” she recalls with a laugh. The family decided to transform their home into a resort in 2009 as part of Helen’s retirement project. 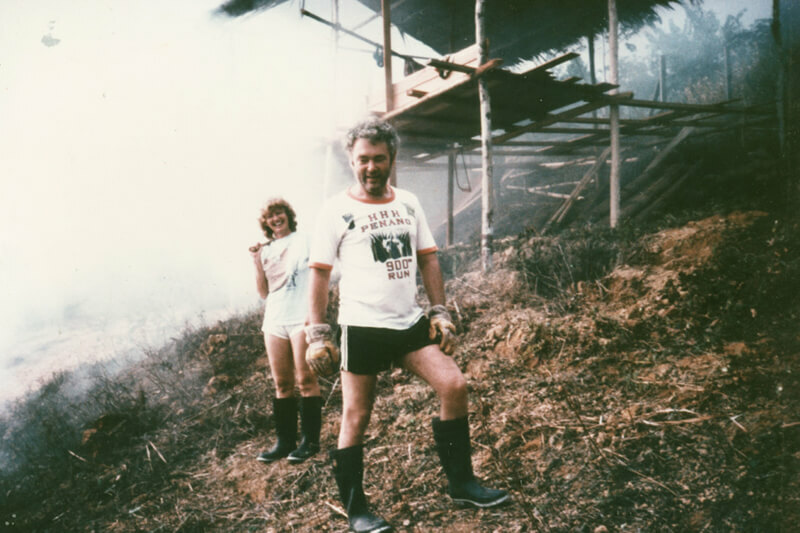 Both Helen and David were working overseas and she wanted to come back to the Dusun after she retired. 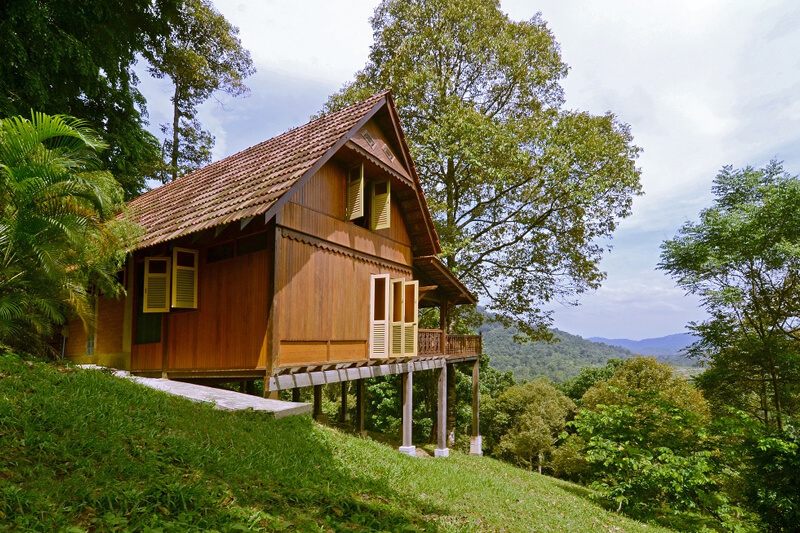 the Dusun has since grown from one house to seven — the Perling Air House, Perling Bukit House, Lanai House, Sora House, Tembusu House, Berembun House and Emas House. Each house has its own distinct qualities that offer their guests a unique living experience. They are also set away from each other, offering a sense of space and privacy. 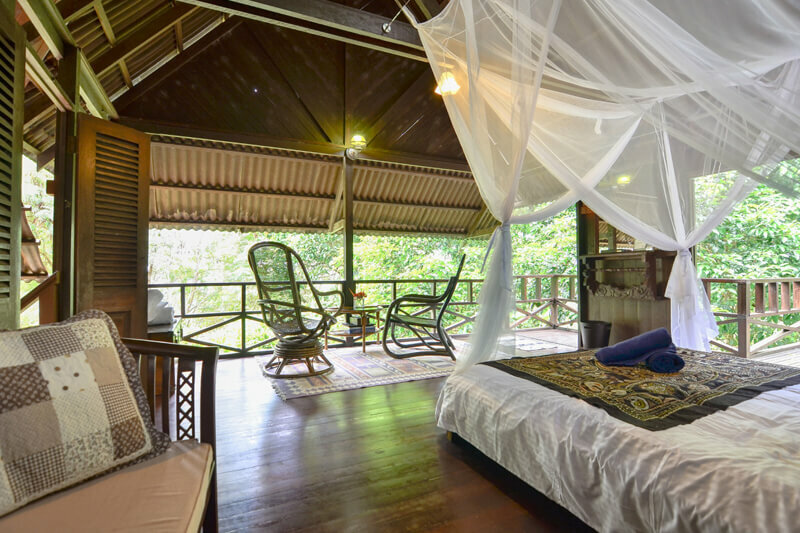 For example, Lanai House has a large space and is open on three sides to the jungle, allowing light, fresh air and the soothing sounds of the river to flow into the house. To enhance its spaciousness, Lanai House is minimally furnished with bean bags and low Japanese tables. Emas House, in contrast, offers the most privacy. The building is named after the hardwood’s golden hue in the sunset. Built like a traditional Malay house featuring some of Helen’s scavenged treasures, it sits at the end of a slope and also faces the Deer Park. Haanim adds that the retreat has engaged a green building consultant to advise them on how to cool the houses further and achieve zero energy consumption by 2023. Meanwhile, it is insulating all the house roofs and adding solar panels that help to offset one-third of their energy consumption. There’s more to do than just unwinding at the houses. Discover the beauty of the jungle and its inhabitants by joining a jungle trek that is led by Ah Kau, a local veteran hunter and gatherer. Meanwhile, there is also a bird-discovery walk, photography workshop, cooking workshop and other activities held by the locals and neighbours of the Dusun. “Having been here for so long, we’re a part of this community. So we hire people from the closest kampung and do what we can to support the local non-governmental organisations and businesses,” says Haanim. Besides preserving nature and adopting sustainable measures, the Dusun also nurtures the music industry. It was home to an analog-digital music production workshop in 2016 named SoundLab. A collaboration between the Dusun, Germany’s worldwide cultural institute Goethe-Institut, booking agency Detour Asia and BorderMovement, the event is a platform that aims to encourage interaction between the electronic music scenes of Southeast Asia and Germany. Christian Schwanz, Haanim’s spouse who is also the development and maintenance manager of the Dusun, is one of the facilitators behind the music project. Taking place over almost two weeks, the project saw 15 musicians from 11 countries across Southeast Asia, Germany, Australia and New Zealand gather at the resort, exchanging ideas and stories to create music. “the Dusun has become a stopover for touring musicians and DJs for a while now, especially because I also run Detour Asia, a little booking agency for artists touring Asia. There is no business objective behind SoundLab — it’s purely for pleasure,” he says. 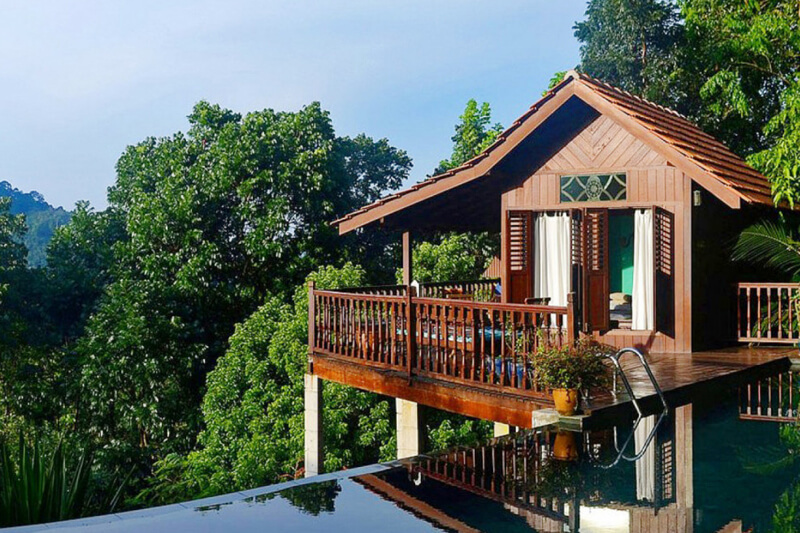 Be they musicians, nature lovers or just those who want to get away from the rigours of daily life, all will be entranced by this tranquil tropical retreat.